Mike Huckabee, MK Danny Danon, see Obama visit as an opportunity to release Jonathan Pollard. Likud MK Danny Danon hinted Sunday that President Shimon Peres and Prime Minister Binyamin Netanyahu will ask President Barack Obama to pardon Jonathan Pollard when Obama visits Israel next month. 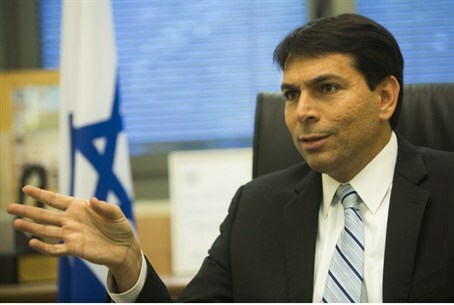 Danon told Arutz Sheva that to the best of his knowledge, Obama will hear "clear statements" on the matter of Pollard from Netanyahu and Peres, when he visits – and from MK Danon himself. Former Arkansas governor Mike Huckabee and MK Danon see the upcoming visit to Israel by President Obama as an opportunity to secure Pollard's release. They have contacted members of the U.S. Congress and Knesset to join the initiative and sign a joint plea for Pollard's pardon, to be handed to Obama upon his arrival. "We are making the plea on behalf of most of Israel's citizens, who are saying 'enough.' Have mercy and let him go home," Danon said. "Obama intends to come here in order to make a plea directly to the hearts of Israel's citizens," he added, "and I hope he understands that the path to the Israelis' heart goes through the release of Pollard."